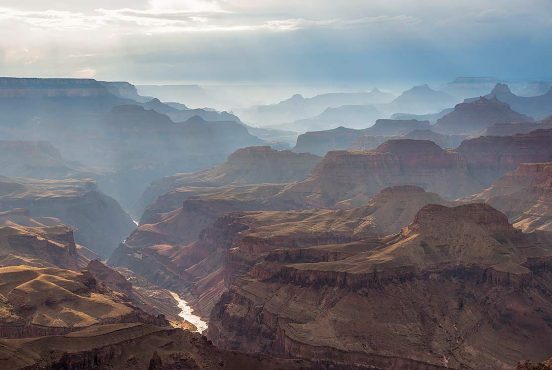 As one of the 7 Natural Wonders of the World — and the best damn hole in the ground we’ve ever seen — Grand Canyon deserves a spot on everybody’s bucket list. For those of us who live close enough, it’s worth a regular pilgrimage every so often to experience the extraordinary stargazing, painted landscape, and breathtaking views. There are several ways to plan your stay at the Grand Canyon. Camping or lodging in the park itself offers the most authentic, immersive experience, but it can get a little crowded — especially during peak travel seasons. 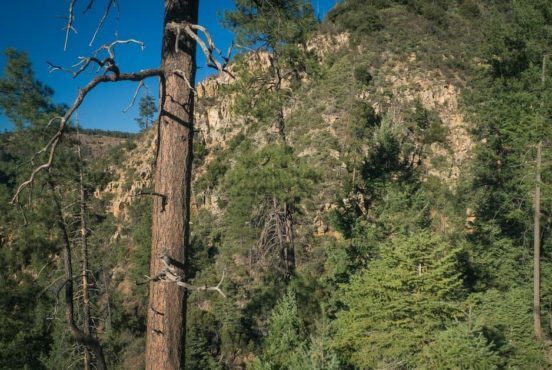 There are a number of hotels within a few minutes driving distance of the National Park’s South Rim entrance, but these are typically just as crowded as the campsites and lodges in the park — not to mention outrageous in-season rates. For travelers who prize their peace and quiet, renting an Airbnb or other vacation rental is a great way to stay close to the Grand Canyon without getting stuck in the tourist traffic. We’ve compiled a list of the best vacation rentals within 30 minutes of Grand Canyon National Park. Each of these properties offer a unique benefit — whether it’s proximity to the park, off-the-grid seclusion, luxury glamping, or an authentic bed and breakfast. Based on the guest reviews and pictures, any of these vacation rentals would make a great base camp for your Grand Canyon adventure. We’ve also got you covered if you’re looking for a statewide collection of Arizona’s most unique Airbnb offerings. 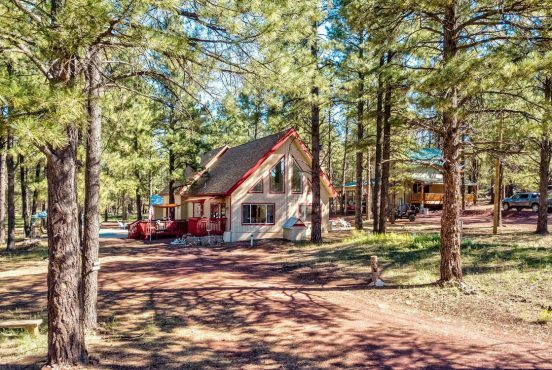 Nestled in the Ponderosa Pines in the heart of the serene Kaibab National Forest, the Grand Canyon Bungalow is a nature-lover’s dream getaway. It’s just one mile away from Grand Canyon National Park’s South Rim entrance, so you can maximize your vacation time without long commutes to and from the park each day. 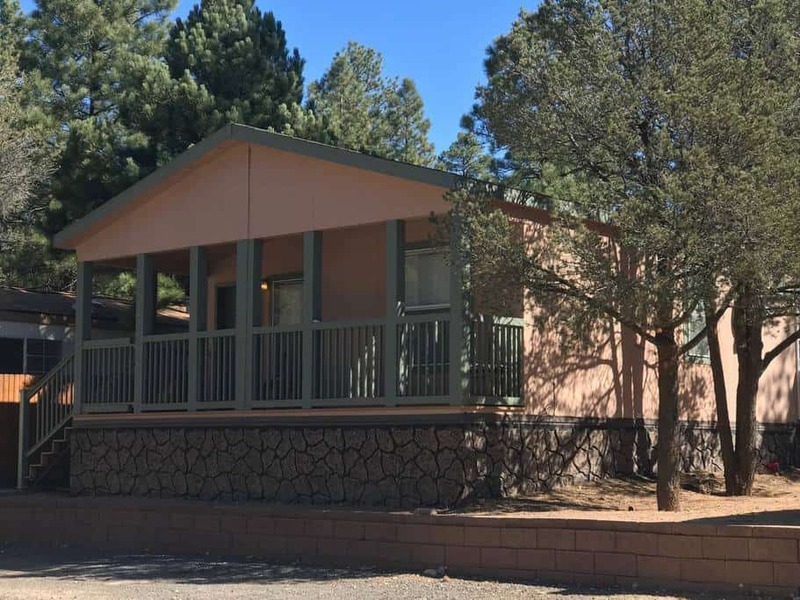 The bungalow is also within walking distance of several hiking trails, including the popular Arizona Trail which leads north into Grand Canyon and eventually to the Arizona–Utah border. Inside the bungalow you’ll enjoy all the benefits of a private residence, including cable TV, a washer and dryer, WiFi, and a fully-stocked kitchen. When you don’t feel like cooking inside the house, head out to the porch and fry up some burgers on the propane grill. Whatever your dinner plans are, we definitely recommend sipping some hot chocolate (or something a little stronger) on the porch at night to take advantage of the stellar stargazing views. 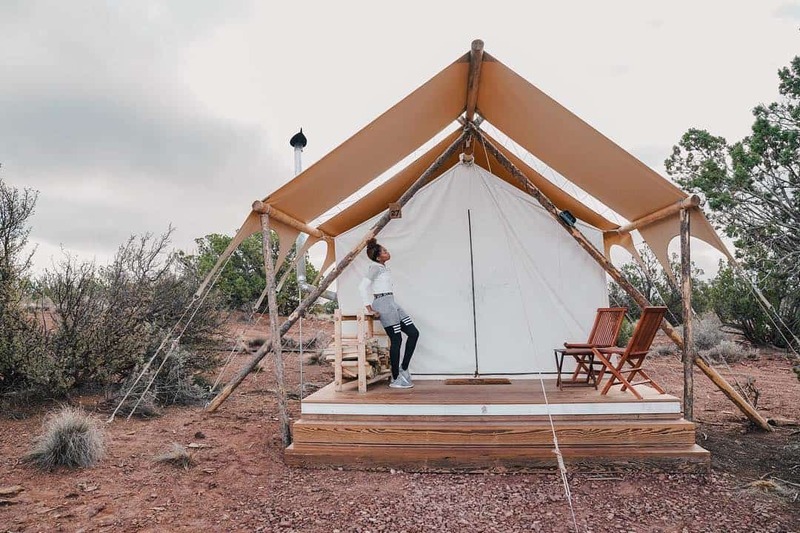 For a luxury Grand Canyon camping experience, check out this safari-inspired glamping resort. Whether you’re planning a family vacation, romantic weekend getaway, or an adventure trip with friends, the Under Canvas Grand Canyon resort is worth the upgrade. You can choose from five luxury tent options, all of which include premium linens, a wood stove, complimentary firewood, and access to a communal bathhouse with showers, toilets, and sinks. The Safari Tent with a king-size bed is the most popular choice, or you can swap the king-size bed for 2–4 twin beds (a great option when traveling with friends). The Deluxe and Stargazer Tents are the mid-level choices, both of which offer a private deck and en-suite bathroom. 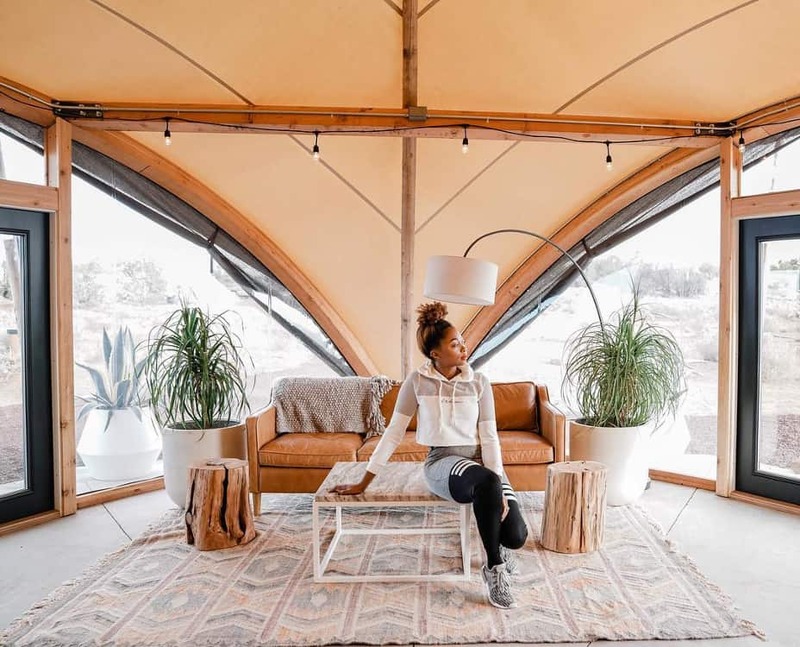 Glampers who want the ultimate treatment can stay in a Suite Tent, which offers all of the Deluxe features plus a lounge area, a leather queen-size sofa bed, secluded campsites, and premium views. You’d be missing out on half the experience if you don’t book some of your Grand Canyon activities with Under Canvas, too. 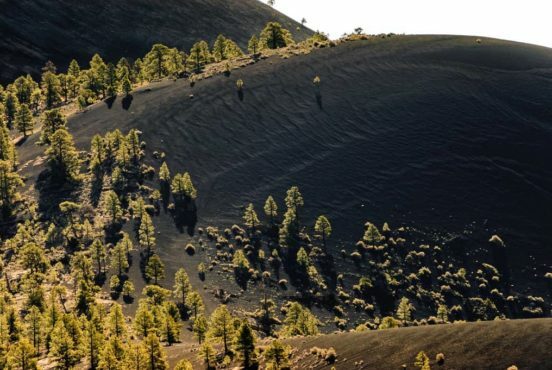 The resort coordinates a series of exclusive activities, including group day hikes, guided biking trips, helicopter tours, horseback riding, Jeep safari tours, private hiking tours, private national park tours, and sightseeing day tours. 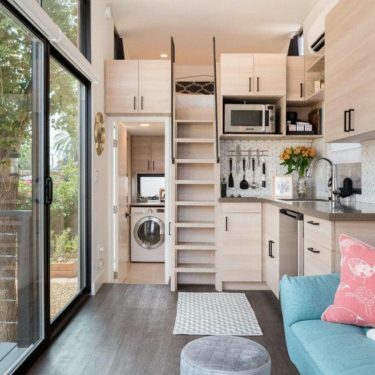 For those of you who rolled your eyes at the word glamping, this Airbnb should be more in line with your traditional tastes. 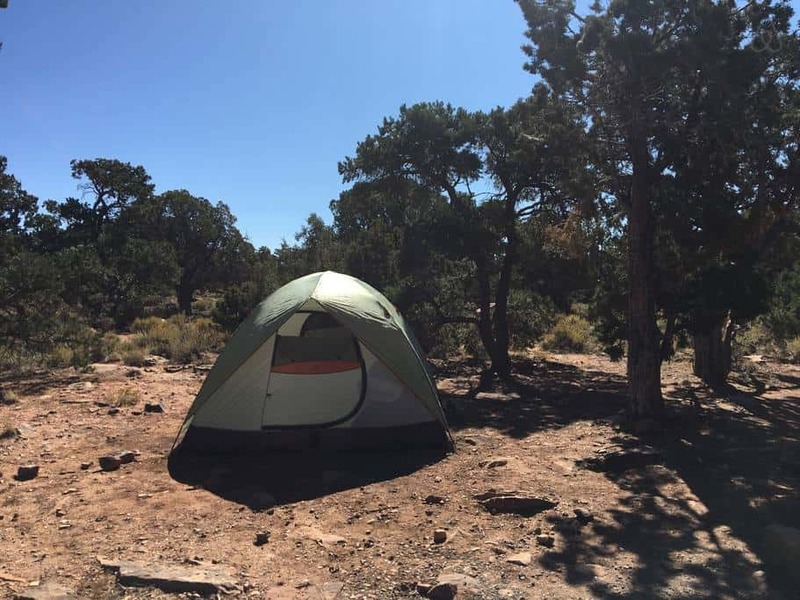 Actually, it’s hard to call this one an Airbnb at all, as Grand Canyon Equipment Rental simply provides you with camping provisions for two. If you’ve never camped before, or don’t have the means to bring your own camping gear to Grand Canyon, this is definitely the way to go. Just understand this: you will need to book your campsite separately, typically at either Mather Campground (reservations recommended) or Desert View Campground (first-come first-served only), unless you plan on dispersed camping in the National Forest just outside the park. The Grand Canyon Eco Cabin is the perfect place to unplug and unwind away from civilization. The cabin is a reasonable distance from the park (30 minutes), but far enough away that you can enjoy peace and quiet away from the tourists and traffic. 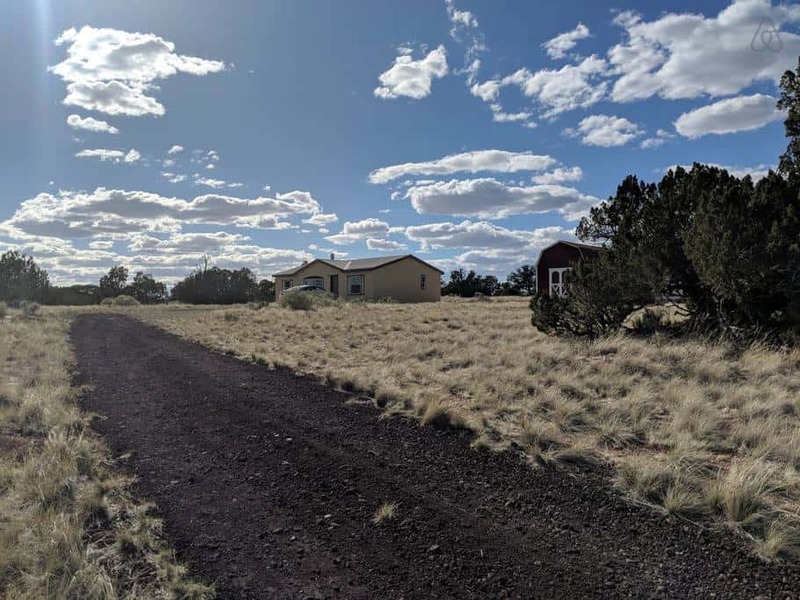 With porch views of the San Francisco Peaks, stellar sunsets, and 14 acres of private land, don’t be surprised if you spend more time at the cabin than you planned. The Grand Canyon Eco Cabin is a particularly good vacation rental for hunters. 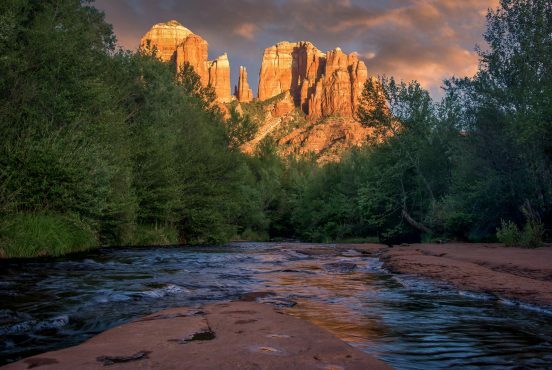 Renters have access to state trust land and the Coconino National Forest just down the road. That said, hunting dogs and hounds will need to stay outside of the cabin, so be sure to plan accordingly. This place is a true European-style bed and breakfast, and it’s the closest B&B to the South Rim entrance. 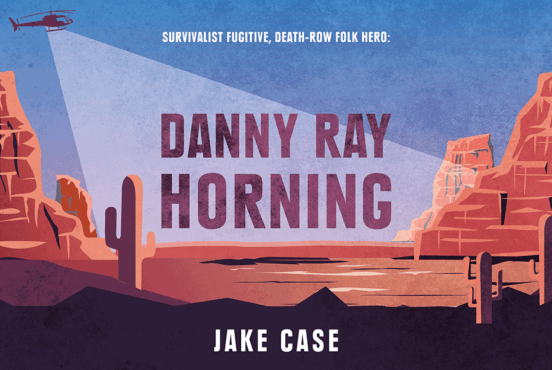 On top of the cozy, comfortable, and spotlessly clean rooms, you’ll enjoy breakfast each day in the form of a sit-down Southwestern-style meal or the owner’s signature South Rim Breakfast Picnic (to-go). The Happy Happy Joy Joy Bed and Breakfast sits on 20 acres of serene land filled with desert wildlife. 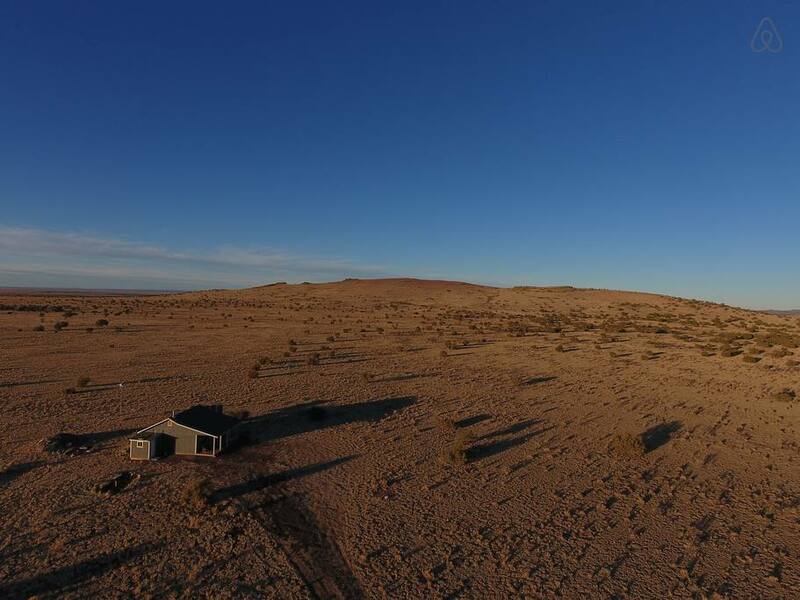 The property is a Certified Wildlife Habitat with the National Wildlife Federation, and guests frequently observe deer, elk, pronghorn sheep, songbirds, hummingbirds, coyotes, jackrabbits, and various raptors. There’s even a three-tier fountain on the backside of the property that tends to attract animals at night. Rural Homestead is a prime pick for travelers who prize seclusion. A former cattle ranch, the small-family home was recently converted into a modern vacation home with perks like air conditioning, WiFi, a washer and dryer, and a fully-stocked kitchen. With 20 acres of private land less than 30 minutes from the National Park, the property is a great base camp to experience the Seventh Wonder away from the masses. You’ll enjoy expansive, uninhibited views of the starlit sky by night, and the freedom to do as you please without any prying eyes during the day. The Little Ranch Retreat is a warm, welcoming ranch-style home with beautiful hardwood flooring, travertine tile, and antique decorations throughout the house. You’ll have full run of the fully-stocked kitchen, and access to an outdoor kitchen and barbeque grill on the expansive 700 square foot patio. 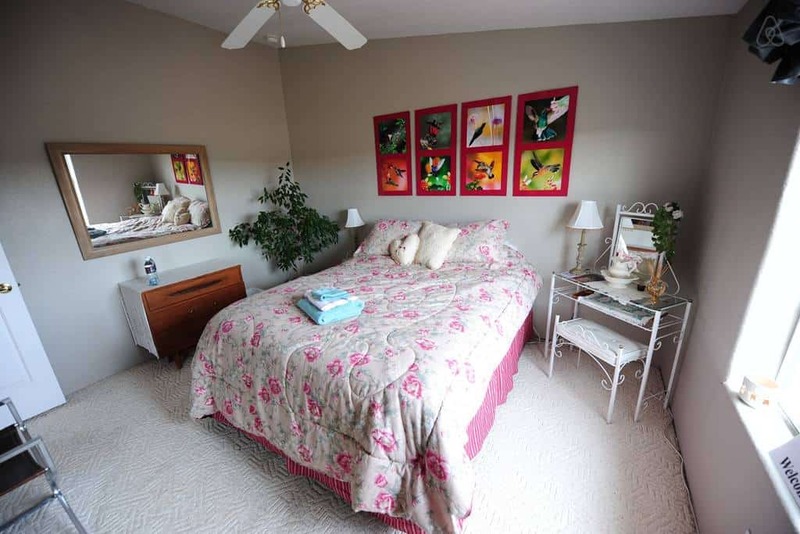 After dinner, grab a book from the den and enjoy some R&R time in the master suite jetted bathtub, or pull out some of the games and puzzles for a fun family night. 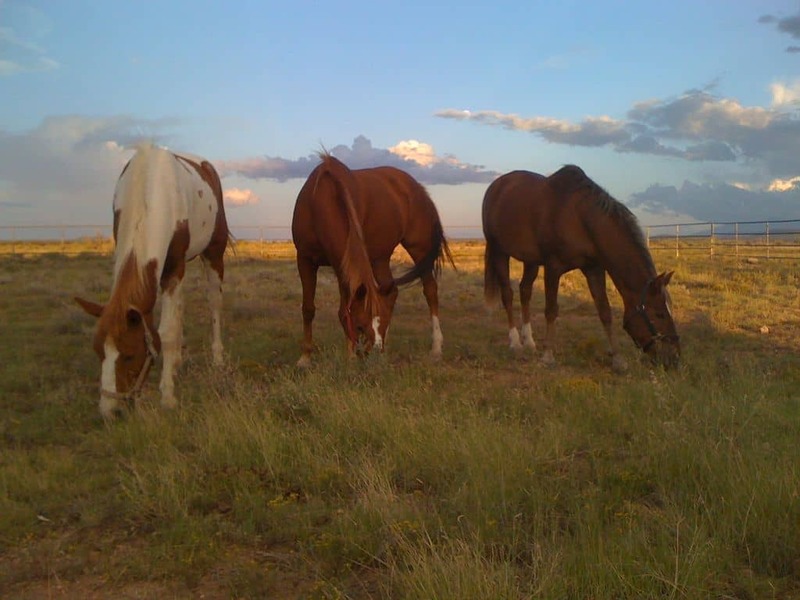 A ranch wouldn’t be complete without horses, and the owner’s horses will eagerly take carrots and apples if you come prepared with fresh produce. When the sun goes down, make your way over to the fire ring for some s’mores, hot cocoa, and an unobstructed view of the mountains. The guest reviews describe breathtaking sunrises and sunsets at the Little Ranch Retreat, and judging by the pictures we’d say that’s an adequate description. For a four-star Grand Canyon glamping experience, book a multi-day trip with Arizona Luxury Expeditions. 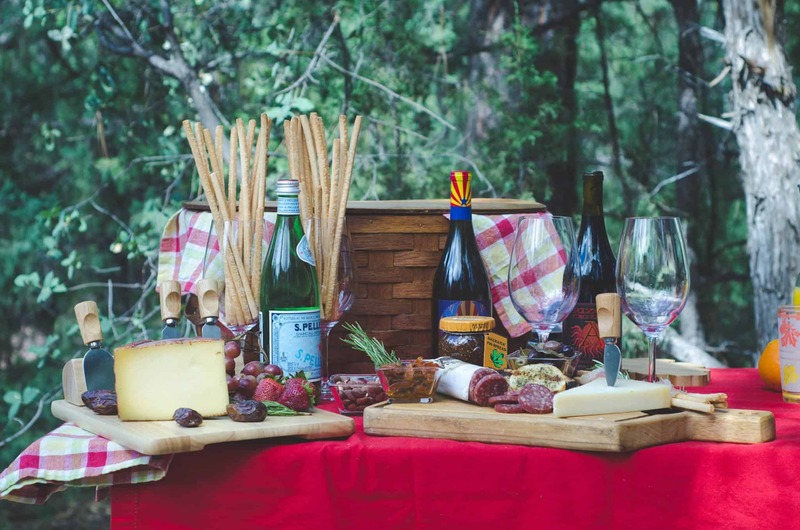 These guys specialize in all-inclusive luxury camping trips for small, intimate groups, with destinations all across Arizona and the Southwest. Every expedition includes a local, professional guide to cook your meals, guide your adventures, and unveil the history, culture, and hidden secrets of the desert landscape. Inspired by classic African safaris, you’ll spend the nights in spacious modern tents with a luxury queen-size bed, premium linens, plush cowhide rugs, and padded floors. You’ll be pampered and catered to with delicious meals by a roaring campfire, and unparalleled stargazing opportunities by night. 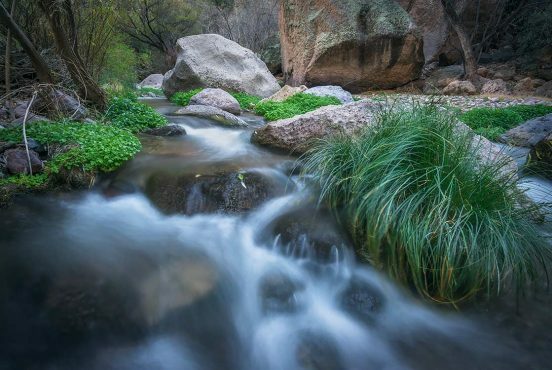 When you’re feeling adventurous, Arizona Luxury Expeditions coordinates fun activities from whitewater rafting trips to horseback rides through the Canyon. As custom expedition specialists, they’re happy to accommodate your every wish and desire for a truly memorable Grand Canyon experience. Passing through Flagstaff on your way to the Grand Canyon? 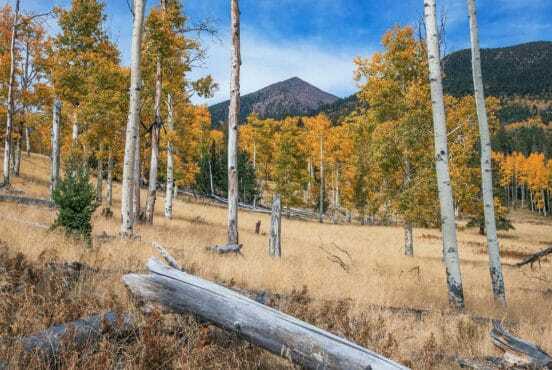 Check out our list of stellar Flagstaff hikes to keep your trip goin’ even longer.